I am approaching my 40th birthday this year…! That means I have been sailing for… gulp – 30 years! I went to a little school in Governors Bay. About 10 minutes drive over the hill from Christchurch in New Zealand. There were about 50 students in the whole school when I went there, and one of the things we did was have sailing lessons for a week during the year. The school had its own little fleet of Optimists. We were towed around the pool to learn how to steer, and capsize in a nice controlled environment, and then we were let loose out on the sea! A lovely guy called Malcolm Pearson was my instructor. An incredibly patient man! I ended up bumping in to him again about 15 years later when I sat my Coastal Skipper course and he was the examiner. Well after the week sailing at school I was hooked and desperate to get my own boat. The day of my birthday rolled around. There was a string attached to the end of my bed with a note “Follow this…” so the string went out the front door and down the driveway to the garage, and when I opened the door there was my very own pink Optimist! She was called Dire Straits after my favourite band. I was so excited! Dad had been secretly painting her up the road in my friends garage. 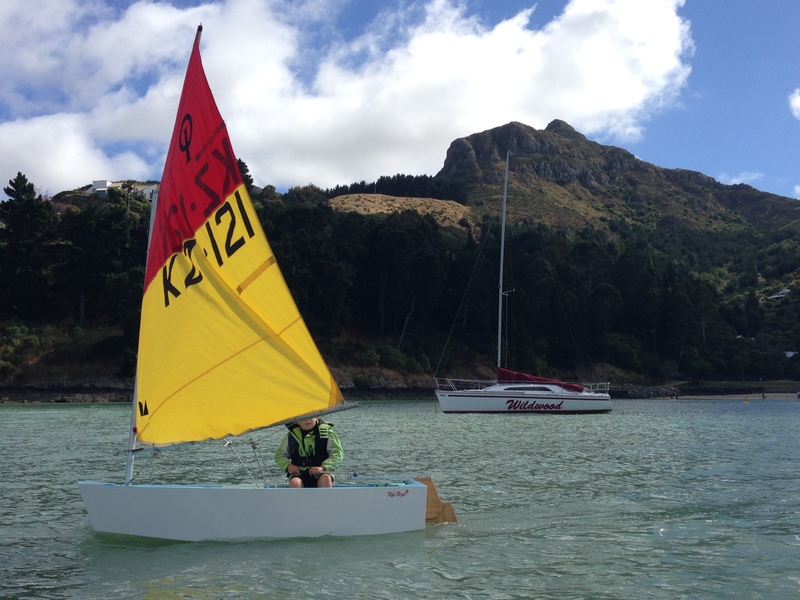 I joined the Charteris Bay Yacht Club and had lots of fun competing in their club racing. I even won the Primary School Regatta one year at Mount Pleasant Yacht Club! When I grew out of the Optimist I got a Paper Tiger Cub – a smaller version of a full size Paper Tiger catamaran. However teenage antics were taking priority over sailing and so I didn’t do much with her other than cruise around in the bay every now and then. I sold her before I left home and went travelling overseas. 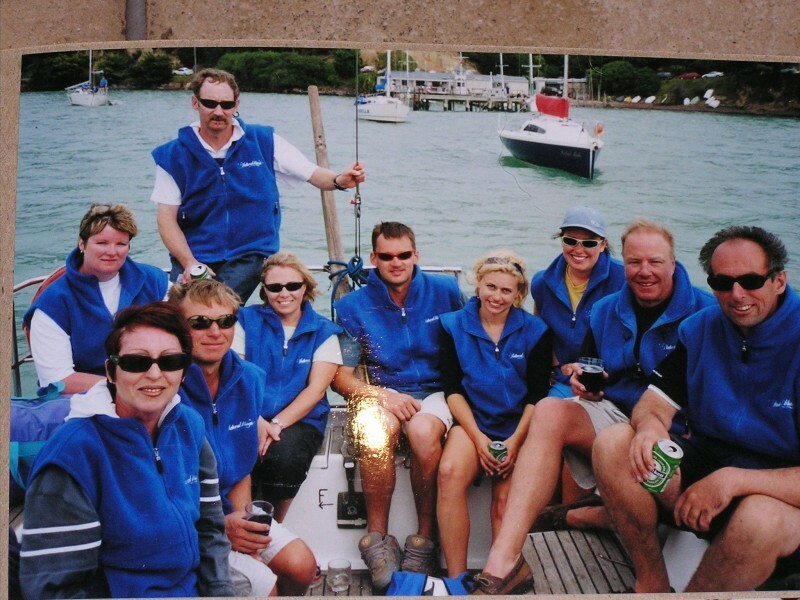 Before I left, I had a sail in my friend Jason’s optimist on a very windy day at Charteris Bay, and I won that race too according to the photo album! 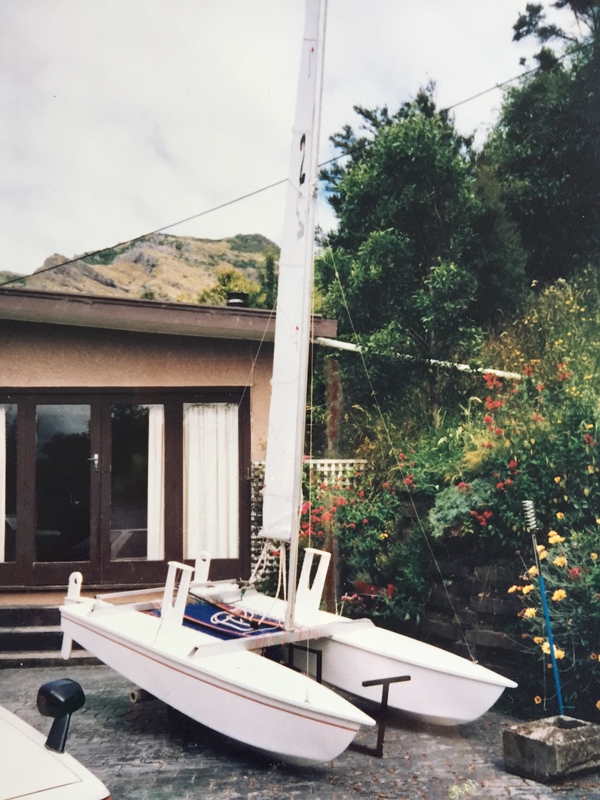 Dad also had a trailer yacht – I think she was a Hartley called Governors or something like that, and we also got to look after another keeler for some people for a year or so, and we had lots of fun sailing her around or going waterskiing behind Dad’s boat. I don’t think we had lots of money, but we sure did have lots of fun and made the most of living by the beach. When I left school, I was desperate to travel so I went overseas for a few years, and for some reason I didn’t pursue any sailing in the UK. But when I came back I started sailing again, crewing for my friend Ivan on his yacht Natural Magic. 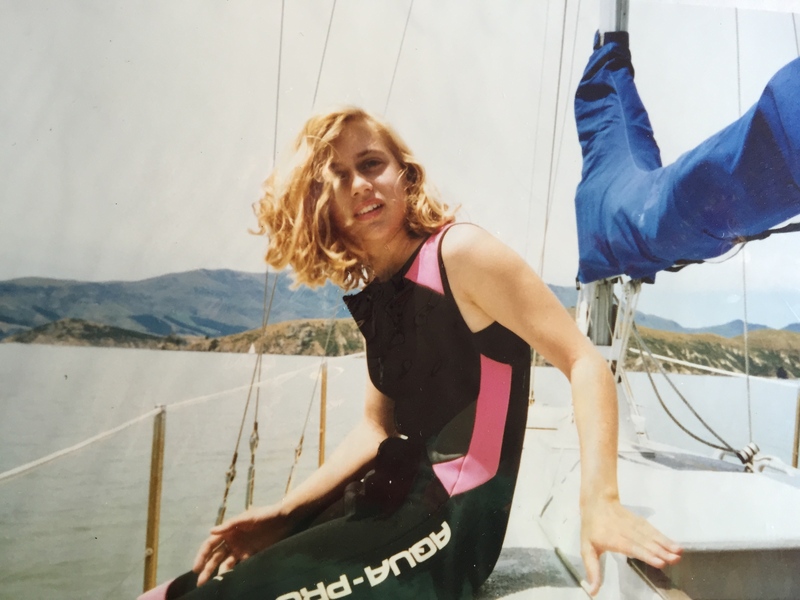 Some of my friends I had when I started sailing 30 years ago are still sailing – we are all just a bit older and our boats are a bit bigger, and our kids are now starting out in their own Optimists! So thanks Mum & Dad for moving to Governors Bay & buying me that little pink Optimist! It has certainly made a big impression on my life. Thanks Jackie! I’ve still got a few months left before I hit the naughty 40’s! Wow! What an education and experience. Wot a life. Where were you when I had my boat? What a wonderful history of learning to sail Viki. Dire straits are still my favourite band and what a good name to call a boat. What a great sailing history you have, Viki! And have a very happy 40th!